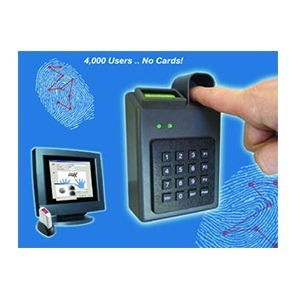 Introduction Cansec's Zodiac Max Fingerprint Reader is the perfect solution for eliminating the cost of conventional access cards while implementing the highest level of security available for up to 4,000 users. With a built-in keypad and LCD screen for prompts and time display, Zodiac Max provides a simple and intuitive interface for both users and administrators. Authentication is performed by first entering a Personal Identification Number (PIN) followed by the presentation of an enrolled finger. After successful authentication, the user's ID is transmitted to the host access control system for the final door access decision. By using 1:1 authentication, Max will always authenticate users quickly while eliminating the possibility of false acceptance. Centralized Template Management Zodiac Max readers are connected to a host PC running the included enrollment software. Users are enrolled centrally at this PC using a USB desktop fingerprint scanner. 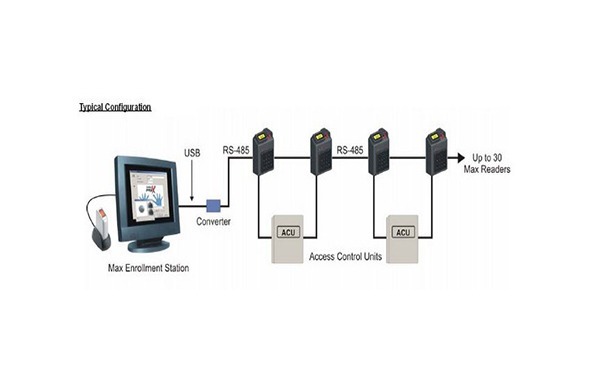 Max software can also be deployed in a multi-client configuration where multiple enrollment stations are required. Max readers are connected to the PC on an RS-485 communications bus. An optional TCP/IP Module is also available which allows Max readers to be connected over existing LAN networks. >Bypass Feature If for some unforeseen reason, a user cannot be enrolled or thesystem administrator wishes to allow access to selected individuals without biometric authentication, a user can be issued a 5-8 digit Bypass Code. Users entering a Bypass Code will not be required to scan their finger. 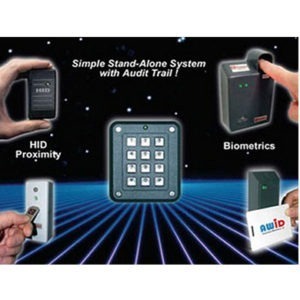 Applications Zodiac Max features a standard Wiegand interface and programmable Site Code for easy integration into most access control and time & attendance systems. Once a user has authenticated, the user’s ID and Site Code are transmitted to the host system in standard Wiegand card format. Conclusion Zodiac Max is the perfect solution for eliminating the cost of buying and managing access cards while implementing a secure yet convenient security solution.